You’re out there having fun, in the warn California sun. Pfft! Your iPhone or iPod runs out of juice — and you’re not having fun any more. What do you do? Enjoy the silence? You might, yes. 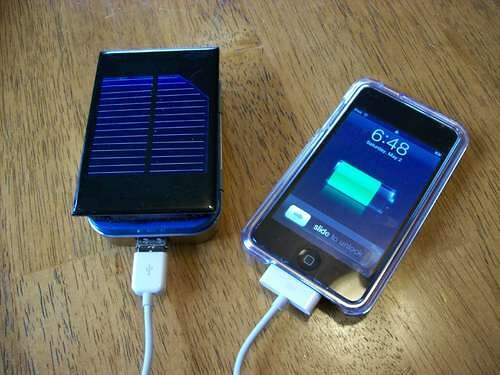 Pull out your solar-powered MintyBoost! 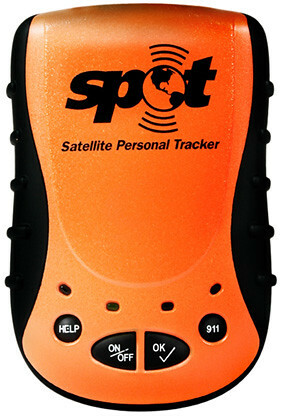 Satellite Today report – broadband satellite services market is projected to exceed $6.4 billions by 2015. Romain Bausch outlines plans for SES in Asia, including development of the 108.2 degrees East orbital slot to meet the region’s growing demand for direct-to-home (DTH) services, cellular backhaul and corporate networking. Dish and DirecTV could continue to offer out of market TV signals for 5 years under House-approved legislation – could prevent hundreds of thousands from losing the signals after the analog to digital transition. Boeing ships Global Positioning System (GPS) IIF satellite to Cape Canaveral to conduct a series of tests for the U.S. Air Force’s next-generation satellite navigation system. Space Innovation Growth Team initiative to shape space industry in the U.K. is launched at Inmarsat’s headquarters in London. General Dynamics provides communications link to NASA’s Lunar Orbiter, launched June 18. SES AMERICOM-NEW SKIES signs 3-year capacity agreement with Korea Telecom for C-band capacity on NSS-703 and NSS-12 satellites. The U.S. Air Force announces entry of trial operations for the second Space Based Infrared System Highly Elliptical Orbit payload and associated ground system for use by the warfighter. Citrix Systems Inc. supplies General Dynamics WANScaler units to help optimize satellite bandwidth for the U.S. Army and its WIN-T (Warfighter Information Network-Tactical) initiative. 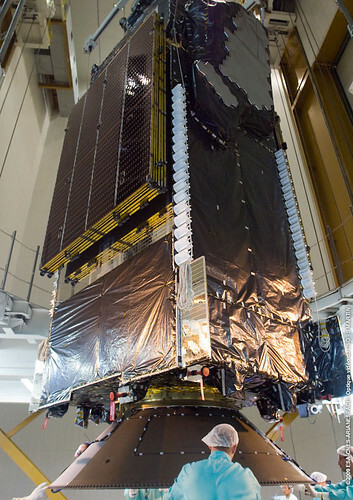 TacSat-3 exceeds expectations and continues to perform well a month after being launched. GIOVE-A, first test satellite for Europe’s Galileo navigation system, to remain in service for another year. TerreStar-1, to be largest civilian telecommunications satellite ever launched, is mated to Ariane 5 launcher for July 1 liftoff. Sea Launch satellite launching company files for bankruptcy protection. SPOT Assist Roadside Provides Customers with Enhanced Satellite-based roadside Safety Services in the United States and Canada. Department of Homeland Security will cut access to spy-satellite data by U.S. police and law enforcement agencies. Russian news agencies quote Russia’s space agency chief as saying Russia plans to launch satellites for Angola and South Africa. The Japan Aerospace Exploration Agency (JAXA) produces stereo 3D movies of the Moon’s surface using images from the KAGUYA just prior to its controlled impact to the Moon on June 11, 2009 (JST) — the KAGUYA was launched by JAXA on September 14, 2007. MEASAT-3a successfully launched by Land Launch Zenit-3 rocket from Baikonur Cosmodrome. Lunar Reconnaissance Orbiter, or LRO, successfully enters orbit around the moon after a four and a half day journey from the Earth. SIRIUS FM-5 launch on Proton Breeze M from Baikonur scheduled for June 29. C-COM Satellite Systems Inc. developes proprietary inclined orbit satellite tracking algorithm which will allow customers to extend inclined orbit use of satellites. Spacenet signs multi-year agreement with SES AMERICOM-NEW SKIES for capacity on AMC-4, AMC-5, and AMC-6 to serve emergency response networks in North America. Northrop Grumman delivers first of two Space Tracking and Surveillance System demonstration satellites to Cape Canaveral for launch preparation. Communications and Power Industries Inc. receives approximately $1.7m contract from Globecomm Systems Inc. for X-band high power amplifiers for multinational defense organization satellite ground terminals. Papua New Guinea’s Telikom PNG selects Gilat’s SkyEdge and SkyEdge II platforms for broadband network covering hundreds of sites. Federal court rules Dish Network DVR technology violates TiVo patent; TiVo plans to use the ruling to attract millions of new subscribers. DirecTV, growing to 18 million subscribers, approaches Comcast in size of subscriber base. NSR Report – How Much HTS Capacity is Enough? – satellite industry has been putting real money behind satellite broadband with high capacity satellites – Eutelsat, Viasat, Hughes – will subscriber base justify the capacity? Awesome: Arianespace is in final preparations for launching the world’s largest communications satellite ever. The spacecraft was mated with the launcher yesterday. The launch is scheduled for 1 July 2009. Their stock price could use a little "launch," too. The carrier will resell satellite service and phones from TerreStar Networks, a startup that is set to have its first satellite launched on July 1. TerreStar is developing hybrid satellite/cellular handsets designed to be about the same size as a conventional smartphone. TerreStar’s satellite will sit 22,000 miles above North America and provide service across the U.S. and Canada, including Alaska, Hawaii, Puerto Rico and the U.S. Virgin Islands. Using licensed 2GHz radio spectrum, it will provide voice service as well as data at approximately 64K bits per second, said TerreStar Chief Technology Officer Dennis Matheson. AT&T will resell that service in a hybrid offering, aimed initially at local, state and federal governments, Matheson said. The carrier will also resell the handsets, though not initially in its retail stores. The handsets will switch between satellite and 3G (third-generation) coverage as users roam in and out of cellular coverage areas. 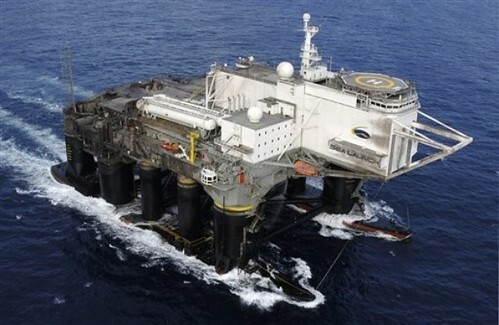 TerreStar is still working on a resale deal with a Canadian carrier. Satellite phones have the advantage of working essentially anywhere across a region of the world, but the market has been limited by large handsets and high prices for devices and service. TerreStar is taking advantage of SDR (software-defined radio) chips coming from Infineon and Qualcomm to integrate satellite capability into the same processors that handle cellular connectivity. This will help the company match the size of other smartphones and eventually bring the cost of its handsets down to that of a BlackBerry, Matheson said. Qualcomm’s work should lead to a satellite and CDMA (Code-Division Multiple Access) phone, which might allow for a future hybrid service from Verizon or Sprint Nextel. TerreStar-1 is based on SS/L’s 1300 space-proven platform, which provides the flexibility to support a broad range of applications and technology advances. The satellite will be capable of generating over five hundred spot beams covering the Continental U.S., Canada, Alaska, Hawaii, Puerto Rico, and the U.S. Virgin Islands. Arianespace will probably webcast the launch (expect a media advisory in a few days). Terrestar’s annoying us with registration on their "Countdown to Communicate" site. Yeah, I registered and I’m still waiting for my e-mail confirmation. If it doesn’t arrive in seconds, you lost me. Overall, they seem to be doing things rights. With Dean Olmstead on their Board, would you expect anything less? Satellite-launch services provider Sea Launch Co and 5 affiliates filed for Chapter 11 bankruptcy protection, citing liquidity concerns and recurring losses from operations. In a filing on Monday with the U.S. Bankruptcy Court for the District of Delaware, Sea Launch listed assets of up to $500 million and liabilities of more than $1 billion. The Long Beach, California-based company said in the filing it intends to explore the sale of one or more of its divisions. Sea Launch, which offers commercial space launch capabilities from the Baikonur Space Center in Kazakhstan, is owned by among others Boeing Co (BA.N), Russia’s RSC Energia and Norway’s Aker ASA (AKER.OL). The case In re Sea Launch Co LLC et al, U.S. Bankruptcy Court, District of Delaware. No. 09-12153. Oh, the irony. Liquidity problems. From a company that launches Zenit rockets from a converted oil platform. Here’s the funny part: they filed just after a Land Launch version of the Zenit rocket delivered a Measat spacecraft to GTO. Citigroup may feel otherwise, having underwritten a $245 million one-year Term Loan last week. Probably won’t impact the worldwide launch industry as much as the NSS-8 failure of 2007. Space Systems/Loral awarded Intelsat contract for Intelsat-19 and Intelsat-20, to be among the most powerful FSS satellites ever built. Lunar Reconnaissance Orbiter and Lunar Crater Observation and Sensing Satellite probes paired together atop Atlas V rocket; successfully launched Thursday, June 18. SES AMERICOM-NEW SKIES completes multi-year agreement with Teleport Access Services to provide three transponders on NSS-11 to distribute at many as 50 Chinese television channels to cable households in Taiwan. Satellite-based upgrade of air-traffic management under development by the U.S. Federal Aviation Administration for four years is to ascertain aircraft positions more accurately and provide severe weather information to cockpits. Thuraya appoints Teknikkom Electronic as National Service Provider in Malaysia. Boeing transfers control of the second Wideband Global Satcom satellite to the Air Force. MTN, a SeaMobile company, and ERZIA, announce project to build teleport in Santander, North Spain to provide services in X-, C-, and Ku-bands. Spacecom announces that National Geographic will launch its newest channel, National Geographic Wild, in Romania over the AMOS-3 satellite. Thales Alenia Space and HISPASAT sign contract with Thales Alenia Space Espana for development and supply of REDSAT advanced communication payload for AG1, a GEO mission. Iridium and Cambridge Consultants win 2009 GTB Innovation Award for excellence in Wireless Network Infrastructure Innovation. Fulcrum Maritime Systems offers Long-Range Identification and Tracking services using Iridium satellite network. European Space Agency signs agreement with Thales Alenia Space to develop atmospheric reentry demonstrator Intermediate eXperimental Vehicle. NASA Lunar Reconnaissance Orbiter to use Israeli technology to link various components of the satellite and pass data between them. NASA postpones launch of STS-127 due to Hydrogen leak; next available date for launch is July 11. Arianespace selected by ST-2 Satellite Ventures of Singapore to launch new telecommunications satellite ST-2, and by Asia Broadcast Satellite to launch ABS-2. Inmarsat launches BGAN X-Stream service in Asia-Pacific region. Open Range selects Israeli WiMax equipment supplier Alvarion as it builds out WiMax delivery to remote areas using Globalstar’s hybrid satellite broadband network . G6 provides continental United States wide voice and data satellite communications to Global Medic medical companies for all U.S. military services except Coast Guard. NAB asks Congress to preserve localism in satellite rewrite, to ensure advertisers continue to be able to target certain audiences. Digital Britain report outlines plans for UK’s digital transition, with three-year National Plan to improve Digital Participation, promising universal Access to broadband services by 2012. Eutelsat welcomes Digital Britain report, stating that the Universal Service Commitment to deliver 2Mbps broadband service to all U.K. residents by 2021 can be delivered today using existing satellite technology. Hughes Network Systems plans launch of next-generation 100 Gbps throughput Ka band satellite using IPoS standard in 2012 to expand broadband network service across North America. DARPA awards contract for phase 2 of Fast Access Spacecraft Testbed satellite power generation and propulsion program to Boeing. Research report on China’s VSAT market states that China’s VSAT market achieved stable development in 2008, with satellite companies facing new opportunities and obtaining rapid growth. Satellite operators pledge not to exploit analog loophole to import distant network affiliate signals into local markets. NAB looks at satellite companies’ proposal to share costs of getting local-into-local into all 212 markets. Expand Networks WAN optimization technology selected by IPSTAR to enhance its satellite based managed service offering. Avanti plans large Ka band satellites to fill broadband gaps in the UK at speeds up to 2 Mbps on the Hylas satellite and the capability of greater speeds on the follow-on Hercules satellites. Gilat announces new multi-star VSAT networking solution, NetEdge. Number of free-to-air satellite TV channels in the Middle East grows 30% in 18 months. Eurovision incorporates new Ku-band capacity on Eutelsat W2A into global network, and C-band capacity for Africa coverage. $257 billion spent on space last year, with two-thirds coming from the private sector. Planetary geologists speculate that the moon’s polar craters may hold billions of tons of hydrogen, fueling the concept of mining the moon. Inserting local ads via satellite TV broadcasts are a technological challenge. Addressing by household? Stop dreaming. Dish Network will be using Invidi’s Advatar technology to deliver addressable, targeted national and local television advertising, the satellite provider said Monday. In a deal with Invidi Technologies, Dish Network will be among the first pay-TV providers utilizing Invidi’s system to sell addressable and targeted advertising according to specific household viewer geographic and demographic and other pre-determined viewer metrics. Many of Dish Network’s advanced receivers support targeted advertising delivery, dynamic commercial insertion, and reporting on broadcast television and national programming networks. DirecTV will use software from startup Invidi Technologies to deliver the targeted ads, beginning in 2011. The software can home in on the geographic region of viewers by picking up information from set-top boxes, said Michael Kubin, executive vice president of Invidi Technologies. "We know exactly where a viewer is located, and to advertisers who want to avoid waste, that makes all the difference," Mr. Kubin said. The new service will allow DirecTV, which has 18 million subscribers, "to compete for a large slice of the TV budget, which is local advertising," said Tracey Scheppach, senior vice president and video-innovations director at Publicis Groupe’s Starcom Worldwide. More and more of Iran’s pro-government websites are under assault, as opposition forces launch web attacks on the Tehran regime’s online propaganda arms. What started out as an attempt to overload a small set of official sites has now expanded, network security consultant Dancho Danchev notes. News outlets like Raja News are being attacked, too. The semi-official Fars News site is currently unavailable. Whoa, inside one of the Blue Angels jets. Enjoy. 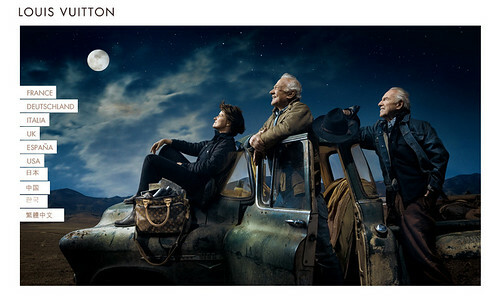 What is Louis Vuitton selling here, luggage for space tourists? Probably not.